It’s no secret that cannabis has infiltrated mainstream consciousness. Sitcoms on Netflix, vape pens in Gwyneth Paltrow’s goop, and ads for cannabis lawyers on CNN remind us every day that this plant is no longer relegated to a dingy corner of counterculture. People are ready to talk about it and they want to know more. So what’s the best way to take weed to the masses? Windy Borman believes it’s through the movies. It’s those stories that drove Borman to dig deeper into this burgeoning sector. Despite her admitted ambivalence toward the plant, she saw clearly that it offered unprecedented opportunities to female entrepreneurs. Moreover, according to her initial research and much to her surprise, she discovered that regulated cannabis could also have positive implications for environmental sustainability and social justice. Borman names these two issues, along with gender parity, as the three most important conversations our society must embrace at this moment. Mary Janes uncovers a web of connections among them, with cannabis at the center. Borman’s priorities serve as an organizational device that propels the film through various subcommunities of the industry: cultivation, legalization, medicine, business. She visits cannabis and hemp farms, speaks with industry leaders at conferences, and learns about the endocannabinoid system. At rallies in front of the UN, on election night in California and Massachusetts, and in a Denver dispensary, Borman encounters women who are changing laws and building an industry. Cultivators, hash makers, attorneys, activists, and even Melissa Etheridge relate inspiring stories of how this plant has benefited their health, their families, their livelihoods, and their lives. Now it’s time for broader change, as Borman takes her film to mainstream audiences. 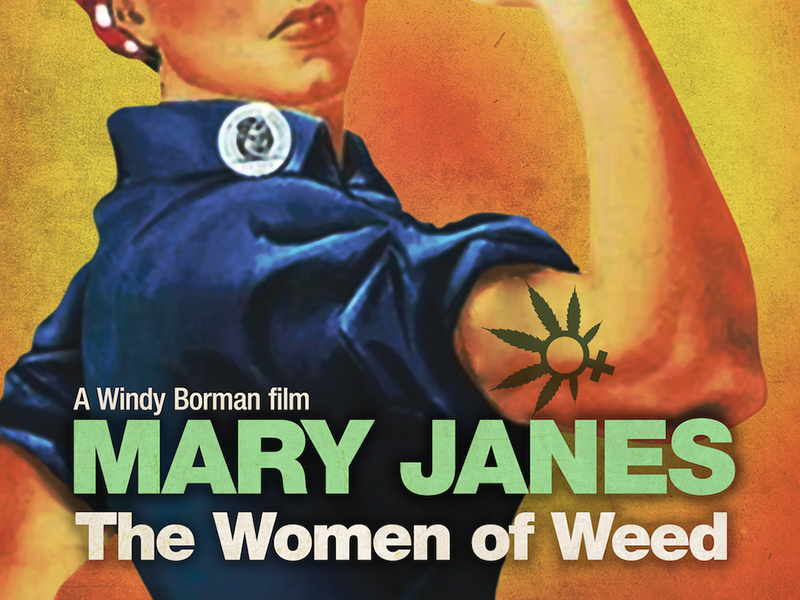 Mary Janes: The Women of Weed will debut at the Mill Valley Film Festival, where one showing has already sold out, on October 8. It then travels to the East Coast for the Woodstock Film Festival on October 13. These screenings represent a big step forward for the film: “We’re about to break out of the cannabis echo chamber,” says Borman. “We have been really fortunate to have a lot of influential women – and men – from cannabis supporting this film. Now we’re ready to see what the rest of America thinks about it.” If you can’t make it to California or New York, you can host a screening of Mary Janes in your city in 2018.